Holmbridge is a small village on the A6024 just to the south west of Holmfirth, Last of the Summer Wine Country, in the Holme Valley and the borough of Kirklees. It houses two pubs the Stumble Inn and Bridge Tavern. Holme is a small village south west of Holmfirth and Holmbridge and lies between Ramsden, Brownhill and Digley Reservoirs. The village is in West Yorkshire close to the border with Derbyshire and lies on the boundary of the Peak District National Park with some properties split to lie outside of it. The village houses a pub the Fleece Inn, a school and public toilets. Nearby is the Holme Moss radio transmitter that is 526 metres above sea level and 200 metres tall. The River Holme flowing through the Holme Valley starts from Digley Reservoir and is then fed firstly by the run off stream from Brownhill Reservoir then by Dobbs Dike. The river a tributary of the River Colne flows for 8.6 miles through Holmbridge, Holmefirth, Thongsbridge, Brockholes, Honley, Berry Brow and Lockwood before it joins the Colne just south of Huddersfield town centre at Folly Hall. Ramsen and Brownhill Reservoir are separated by a dam. Holmfirth attracts thousands of visitors and fans of the television series “Last of the Summer Wine” every year to visit Sid’s Cafe, Nora Batty’s home and Steps, the Wrinkled Stocking Tea Room and the Summer Wine Exhibition. It is the longest running comedy programme in Britain and the longest running sitcom in the world. The cast has changed many times over the years with the original trio being Bill Owen as scruffy Compo, Peter Sallis as deep thinking Cleg and Michael Bates as snobbish Blamire and they always got themselves involved in daredevil stunts and boyish pranks. The late Bill Owen was heavily involved in the creation and design of The Summer Wine Exhibition and was keen to provide an interesting and memorable feature for visitors and was officially opened by Compo on Easter Saturday 1996 the 25th anniversary of the programme. The Wrinkled Stocking Tea Room named after the famous stockings worn by Nora Batty who is also a star of the series “Last of the Summer Wine” and appropriately named for it is situated next door to the TV homes of Nora and previously Compo. The Picturedrome Cinema is also popular and there are a wide range of shops, restaurants, wine bars, pubs and a variety of take-aways to suit all pallets. There is a vintage market on Wednesdays, a general market on Thursdays, craft and food market on Saturdays, a farmers market every third Sunday and various special markets throughout the year. Holmfirth with its wonderful scenery across the Holme Valley is also popular with walkers and wildlife enthusiasts. Watch out for the wildlife beside the river you never know what you may see. There are many walks and cycle routes so why not head out for the hills, with your camera, where you will find peace, fresh air and panoramic views all year round. The most popular walks are Digley Reservoir, Blackmoorfoot Reservoir, Ramsden Reservoir, Holme Valley Riverside Way, Holme Valley Circular Walk, Holme Moss View Point and Holmbridge and Holme Walk. The Holmbridge and Holme Walk is a 5 mile walk taking in the Pennine Moors and Peak hills and passes Yateholme, Ramsden and Digley Reservoirs. Maps and guides of popular walks in the area can be obtained from the Tourist Information Centre in Holmfirth but we recommend you also use an OS map. We park in Ramsden Reservoir car park and make our way to the picnic area and turn right uphill past a bench then bear right between two walls into some trees. We follow the wall on our right with a stream on our left. We soon cross the stream and when we come to a stile we go over and turn left following the arrow sign Holmbridge and Holme Walk and follow the path through the fields with the wall on our left. We take the second path on the left crossing over the gated stile with an arrow sign Holmbridge and Holme Walk. Bearing right we zigzag downhill go through some trees following a little stream to a stile. We go over the stile and make our way down to a farm and turn right we head forwards going through a gate to the left of an old shed then bear to the left following the wall heading forward towards some houses. We come into a wood and after a short way and go through a small iron gate on the left then head downhill to cross a little wooden footbridge. We follow the footpath to the road and turn left downhill. Just past the school we turn sharp left downhill onto Dobb Top Road. We cross over a tiny stream and head slightly uphill. At the y-junction we bear right slightly downhill onto Smithy Lane then turn next right and right again to go over the bridge. We pass the church on the right and the cricket pitch on the left then at the bend in the road just past the bus shelter and the post box we turn left onto a track. We follow the track with a stream on our left to a gate and turning circle. Here we turn right up the steps and make our way to a seat we go through the gate and turn left onto the road. We follow the road round with Digley Reservoir on our left to a gate on the left. We go through the gate and bear right. When we see the car park in front of us we turn left at the information board and follow the path alongside the reservoir. We pass a quarry and bear left keeping to the main path. We go down some steps cross over a stream running into the reservoir and head forwards on the path between two walls. The path splits at a seat and we bear left downhill and keep following the path past another seat to cross over the dam between Digley and Bilberry Reservoirs. We walk up a few steps then keep heading forwards downhill. We go through a gate cross over a little stream and at the seat we turn immediate right steeply uphill following a wire fence on our right to go over a stile. We keep heading forwards through the fields following the Kirklees Way until we come to a small road at Holme. We turn left downhill then turn right at the main road. Just after the public toilets and telephone box on the left and almost opposite the Fleece Inn we turn left at the public footpath sign. We bear right by the side of a private garden. We come out into a field and keep heading forwards downhill to cross a bridge over a little stream. We then head uphill to a stile with a wall on our right. We cross the stile and keep following the path bearing slightly left now going downhill. The path becomes wider and we keep following the path with Ramsden Reservoir down below on our right. Eventually we turn sharp right downhill to cross over the dam between Brownhill and Ramsden Reservoirs we can see the car park at the other side. This is a moderate walk on footpaths and tracks and through fields with stiles and gates. There are also some short stretches of minor road and a few stiff inclines and declines. Approx 5.4 miles allow 2¼ hours using OS Explorer Map OL1 the Peak District, Dark Peak Area. Start Point: Ramsden Reservoir free car park. Ramsden Reservoir is south west of Holmfirth in the District of Kirklees, West Yorkshire. From the M1 coming from the north take junction 39 and take the A636 to Denby Dale then turn right onto the A635 and follow the A635 into Holmfirth. In Holmfirth at the main traffic lights turn left onto the A6024 to Holmbridge. Take the little road on the left just over the bridge then right uphill for about a mile and Ramsden Reservoir car park is on the left. From the M1 coming from the south take junction 37 and follow the A628 at the second roundabout turn right for Huddersfield then turn left onto the A635 and follow the A635 into Holmfirth. In Holmfirth the directions are as above. Parking: Ramsden Reservoir free car park. There are also two car parks at Digley Reservoir: Digley Quarry and Digley South. There are public toilets in Holme and the next nearest ones are in Holmfirth. For refreshments there are two pubs at Holmbridge and one at Holm but there ample shops, cafes, take-away, pubs and restaurants in nearby Holmfirth. 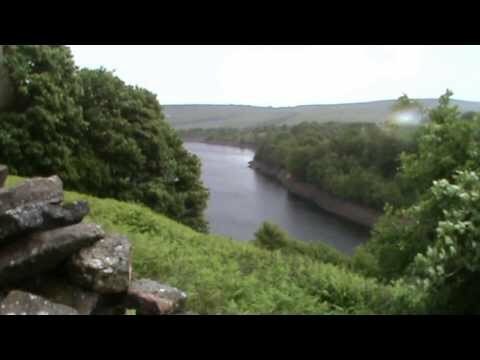 There are picnic areas at Ramsden Reservoir and at Digley Reservoir Quarry car park.